Only a handful of women in the world have experienced what Paulina Porizkova has—being whisked away to model in Paris while still a teenager, reaching the pinnacle of the profession before her schoolmates had even graduated—and fewer still have the insight to capture it on paper. In her first novel, Paulina tells the story of Jirina (pronounced Yee-r-shi-nah). A tall, scrawny fifteen-year-old girl from Sweden, she’s much more accustomed to taunts and disdain than admiration and affection, whether from her classmates or her own family. That all changes when her only friend, Hatty, asks to practice her makeup and photography skills on Jirina. Almost before she knows it Jirina is on a plane to Paris, where she will spend the summer in a milieu entirely alien to her. Living at the home of her modeling agency’s owner and constantly being subjected to blunt physical assessments, catty and often cruel fellow models, and womanizing photographers—and, miraculously enough, sometimes feeling truly beautiful—Jirina embarks on a journey beyond her wildest imaginings. Between photo shoots in Italy and Morocco, parties with models and musicians, Jirina manages to make a few friends, fall in love, and, eventually, feel the very adult pain of betrayal and heartbreak. 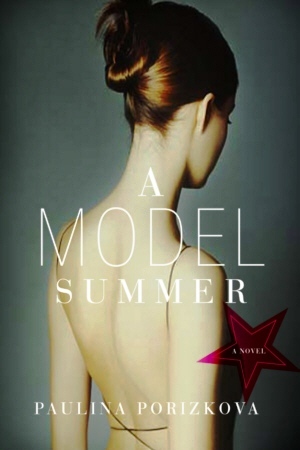 Told with the grace, simplicity, and accuracy that can only come from real-life experience, A MODEL SUMMER is both the debut of a notably talented novelist and an unusually well informed look behind the scenes at a world many people fantasize about, but few really know. Paulina Porizkova is a former political refugee, an accidental model, and an occasional actress. Also the author of a children’s book, The Adventures of Ralphie the Roach, she is married to the musician Ric Ocasek, with whom she has two sons. They live in New York City.